← Words of Whimsical Wisdom..? I’m increasingly encountering reference to the Social Model of Disability, in autism rhetoric. It is most strongly associated with the Neurodiversity movement, and related groups (like ASAN). Without fail, every time I have seen the Social Model of Disability being used to discuss autism, I have seen quick and concerned responses from others who are outraged that something as serious and real (as opposed to mild or entirely socially constructed) as autism, could be referenced and re-framed in this way. In this post I am going to try to make sense of those concerns, where they come from, and whether they are well-placed. First some introductory points about the Model itself. The Social Model of Disability can be seen as a response to the more individualised and “normative” Medical Model of Disability. The Social Model shifts the focus from reshaping the impaired individual, to reshaping society (in terms of things like society’s response, attitudes and accommodation of those impaired persons). It defines disability in reference to how much society is accommodating the affected individuals, rather than as something defined by the condition the person has. It does not necessarily come hand-in-hand with a complete reframing of the impairment carried by the individual, by which I mean, you can still identify an objective and serious impairment held by the individual, yet use a Social Model approach to what to do about it and how to talk about it. It may do though; various movements will and do deny existing definitions – and even existence – of the impairments that lead to disability, completely denying current terms and groupings and diagnostic criteria used to identify the conditions affecting people in the first place. This line of thinking will also challenge uses of the terms like “impairment” at all, choosing instead to completely redefine the condition as one only created by societal attitudes towards these people as “other” and unwanted. Similarly, the Social Model of Disability doesn’t necessarily come hand-in-hand with saying the only correct response to a challenged person is to alter society and everyone else rather than the individual themself (for example, they may say society must be more accommodating but also there must be medical and therapy interventions for the best of the affected individual). Again though, some do take that more extreme approach, saying that the affected individual should not have to change or be forced to change at all; that it is only society (everyone else) who must be expected to change, in attitudes and accommodation towards those seemingly affected by a disability. Basically, the Social Model of Disability then can be seen either as a guiding consideration that enhances our appreciation of the role society plays in the definition and actuality of disability, or it can be taken as a more extreme version that attacks the very definition of impairments (per se) and completely counters existing expectations that afflicted individuals do something to better fit into the world they exist in. In that first guise – as an enhanced consideration of the role society plays in making disability worse – there will not be much controversy, since it would be fair to say that most people understand that accommodation and better attitudes towards conditions like autism, can and do make a very real impact on how debilitating something like autism can be. But in this softer guise of the model, it doesn’t tell us much we didn’t already know, and isn’t really a “game-changer.” It is the more extreme version and uses of the model that raise hackles (and I will soon get to why that may be, particularly for autism). I think it is important though to recognise that not everyone who refers to the Social Model of Disability is conforming to this more extreme version, and are often using it to rather suggest a gentle paradigm shift along-side continuing medical definitions and interventions at the individual level. In order to understand why many in the autism community – most especially the daily carers of those with more severe forms of autism – take such exception to the more extreme Social Model of Disability, I think it is important to understand the rather common histories and daily struggles faced by these carers; pre-diagnosis, at the point of diagnosis and post-diagnosis. It is a common experience for parents of autistic children to go through months or years of being told there is nothing “wrong with their child”; that what they’re worried about in their child is just a little slow development in their interests, abilities and speech. That better parenting or more socializing would fix the child right up. Eventually the child receives the diagnosis (which may take more than one professional, particularly if they see the wrong sort of professionals), and then those parents have to face family, friends and strangers sharing their wisdom that autism is not a real condition; it’s just a fad diagnosis tailored to bad parents or poorly performing children. After diagnosis comes the eternal fight for services and funding that you’re supposedly entitled to, so your child can get the help they need as soon as possible, to make the biggest difference possible for the brightest future possible. So when someone comes along after or during all these struggles and adds one more voice to the “your child’s condition isn’t really a disability” barrage, it is completely understandable and predictable that there is going to be a backlash. When you fight to have your child’s condition acknowledged in the first place by professionals and those around you, then fight to access services, to then have someone tell you “it would all be OK if society just acted a bit differently towards your child” or “there is nothing wrong with your child, just something wrong with society”, it comes off like a threat to the very diagnosis and to the hard-won services. And in its more extreme form, that is exactly what the Social Model of Disability is; a threat. It tells you to get rid of the diagnosis category (in particular forms and places anyway), and to stop providing therapies to these people; to turn all funding and attention instead to the problems in society instead. More than a threat though, it also comes across as (a) a complete and astounding denial of reality, and (b), an entirely unrealistic and arguably immoral response to impairment and disability. It comes across as a denial of reality because being around the most severely autistic (and disabled more generally) makes it impossible to say “there is nothing really wrong here.” When basic self-care skills are missing to the extent that the person is dependent on others to change nappies well into their school years, or language is non-existent to the point that completely artificial modes of communication need to be intentionally (and often expensively) introduced in order to even figure out the simplest request, the notion that just changing society would make it all be fine, can appear ignorant and be quite upsetting. This would be a reaction to a more extreme form of the Social Model of Disability of course; not the form that accepts real and serious impairment (beyond the socially defined) and the need for interventions at the individual level. It can be seen as an unrealistic and immoral response too. Unrealistic, because making everyone else in society change when the alternative is working to help that individual find a way to function within society as it currently exists, is the far more mammoth task, and unlikely to help that individual here and now (though it may improve their life years or decades from now; there is arguably no reason social awareness can’t be improved along-side an individual approach). The focus needs to be on helping the person now, in the world they find themselves in. Yes, lets work to make that a better world, but not at the expense of helping the person find their way in society as it currently works. The “immoral” aspect of this approach comes in because the Social Model of Disability does not sit intuitively with highly valuing independence, which is a question of not just economics but a deeper set of (particular) moral beliefs. The moral concern here is that dependence on others – particularly on society at large (in terms of financial support, accommodation, positive discrimination etc) – is neither neutral nor something to be encouraged and celebrated. Rather, anything which encourages adults towards personal independence (self-care, financial independence, the ability to live one’s own life the way one chooses, etc), is a positive value. However, it must be noted that the “outcome” (which is arguably unrealistic or impossible) of the ultimate implementation and realisation of the Social Model of Disability, would actually be heightened independence of those currently deemed disabled, since they would be more empowered to gain employment, and to move freely through society (both mentally and physically). Also, one could arguably question the meaning of independence in a society that taxes heavily already, where interdependence and dependence is already an oft-forgotten aspect of today’s modern societies; that the Social Disability Model just seeks to extend that aspect. Again though, the increased independence arguably afforded by a Social Disability Model approach, can come along-side rather than instead of, an individualised approach to disability (where therapies and other interventions are also used to equip the affected individual). It is the “instead of” approach – where some argue that therapies, definitions, and interventions at the individual level should be abandoned altogether – that upsets carers the most. From my own thoughts and understanding of these conflicts, a lot of confusion comes from inconsistent or unclear uses of the Social Model of Disability. At its extremes, the Model looks distorting, offensive, and dangerous to the wellbeing of the disabled. In its milder form it is a sort of paradigm shift – bringing attention to a different or rather additional way to view, understand and approach disability – and yet because it is milder, this form isn’t as important or “powerful” as its more extreme version (and is arguably redundant as a model per se, since it is downgraded to a “consideration” or “heightened awareness”, that can sit (merely) along-side the existing supposed “Medical Model”). I do not have particular training or special insights (beyond Sociology being the Minor of my BA and my own experiences as a mother of an autistic child), that I brought into this post. This post is rather the result of thinking about others’ reactions, and indeed my own reactions, to encountering the Social Model of Disability rhetoric, particularly in regards to the autism community. And so, as ever, I do openly encourage you to correct me if I’ve got something wrong or misrepresented or misunderstood some aspect. But if I am incorrect, it is worth noting that those errors are made not just by me, and are symptoms of an oft poorly communicated rhetoric rather than ill-intent or lack of consideration on my behalf. Gallery | This entry was posted in Attitudes to Autism and tagged ASAN, ASD, Autism, Disability, Medical Model of Disability, Neurodiversity, Social model of disability, sociology. Bookmark the permalink. Agreed. My son is only three, all his difficulties to date have been directly related to his neurology, none have been the result of an inhospitable society (yet). I find the extreme social model of disability has not only a delusional component in that seeks to deny peoples lived reality, but in doing so it invalidates others struggles and consequently risks alienating those people further. It’s counter inclusive, there’s an inherent paradox in that it risks doing exactly what it purports to challenge. An excellent comment Sharon, thank you for adding those insights. For the last two weeks Iv’e been tinkering with a blog post along a similar line. It will go up very soon. I have a lot of concerns about this ideology (even though I think I understand the motivation). I look forward to reading your post Sharon; I’m very much interested in better understanding the model (and inherent or associated ideology), and issues with the model. mosiacofminds Thanks for giving me the opportunity to clarify. My son has only just turned three. All the issues he has struggled with so far have been neurologically based. He ‘is unaware at this stage of his lfe that there is anything different about him and so are most others as he functions quite well most of the time. You’ll note I put the word ‘yet’ after inhospitable society as an acknowledgement of your point. As he gets older I anticipate there will be some social impacts for him to navigate. I am very aware about social messages and constructs and how they affect others. I don’t overlook them. As a quick addition, we have been fortunate enough so far that we have not had messages directed at us that Harri is not fully human etc. Perhaps that is a more prolific message in the US? But here in Australia he has had nothing but love, support and wonderful therapists (ABA) who all adore him. Our expectation, and those of everyone around him, is that he will be an independent, happy adult. If Harri’s ABA includes aversives and ‘quiet hands’, those are things created by a hostile society that will have a negative impact on him directly and will thus affect his behaviour by the supression of his attempts to communicate. As an Autistic person who follows the social adapted model of disability, I can see the value of ABA in helping a severely Autistic person in developing skills, but when it is misapplied as in the example I gave, then it does more harm than good. I have to wonder how much either form of the social model can truly help children and adults with autism. In order for the model to work, there has to be some way to tell that the other person has a challenge that needs some extra accommodation and acceptance. But autism is, for the most part at least, an invisible disability. The problem is how can the average person tell the difference between a “typical” person purposely being socially inappropriate and a person with autism who is being socially inappropriate because of their condition. There is no reason to tolerate the first person’s behavior but the second can and should be accommodated as much as possible. And that is just one of three core problems in autism. The other two parts – communication difficulties and repetitive behaviors and restricted interests – are harder to deal with. There are already accommodations in place to deal with slight communication issues but they rely on other aspects of social behavior to function properly. But there is no accommodation that can deal with the almost complete absence of communication short of really getting to know the person and learning how to read their unique body language. The third part – repetitive behaviors and restricted interests – are almost impossible to deal with in a systematic way because they are literally all over the place. Even if you can tell that a person has these issues you have absolutely no way of knowing what the specific issues would be or how to avoid them. I have a hard enough time doing that in my own house with three children on the spectrum because their needs contradict each other. If I can’t do it when I know exactly what issues each of my children have, how could a random stranger? And since these behaviors can and do change and reverse in some cases, even if a stranger knew the proper response at one time it might be the exact wrong thing to do six months from now. The social model can help in some small ways and does make us feel all warm and fuzzy inside, but I don’t know that it can actually make a meaningful difference. At least not for people who are even moderately impaired by their autism. You can raise awareness that autism exists but when someone asks what “autism” looks like all you can say is it depends. It might be this or it might be that or it could be this other thing. Lets take an example, a teenager walks through the door of a grocery store and drops the the ground and and starts screaming. Or maybe they start banging their head on the wall. Or maybe they just approach the nearest person and start talking to them very loudly. In any of these cases, what is the appropriate accommodation? Is it a sensory issue such as too much or too little or the wrong type of light? Is it too loud? Are there too many people? Or is it that they have a hard time walking through doorways into large open buildings? Do you walk over to the person and try calm them down? Or do you let them be and regain their balance? Or do you help them out of the store? Or do you nod your head and say to yourself “ah, they must have autism” and go about your business? The social model may help with extra awareness (which is a good thing), but it doesn’t have the ability to provide any sort of meaningful help to the person. Now if you compare that to how how the social model of disability functions with other disabilities, you would see a clear difference. For other disabilities, the social model provides not only awareness but can also provide specific accommodations that restore the person’s ability to function. The trivial example here is a person who is confined to a wheelchair. They are able to get around and function with the appropriate accommodations such as ramps, wider aisles , special transport vehicles, and the like. More importantly, if you saw a person in a wheel chair trying to get into a building and failing, you would have some idea of how to help. You might walk around the building to see if there is a better entrance or you might get some people together and help lift them over the obstacles. And then you could go to the owners of the building and lobby for the specific accommodations that would allow this person in a wheelchair to access the building next time. The point here is that the social model is meant to not only create awareness but also to provide specific accommodations to overcome the disability. I have a hard time seeing how that second part is possible for even moderate autism. I will take the extra awareness and extra understanding any day of the week, but that doesn’t really do that much to help. Well said and well argued MJ. This is one of the reasons I wrote my post; because I wanted to hear more from others about the specific concerns about the social disability model, whether they matched or went beyond what I’d already picked up, or arguments against the points I raised in the post. So I really appreciate you taking the time to share those important thoughts, thank you. On the other hand (just to argue against myself), there are times when the social model seems to at least partially work. For example, does the following count as a social, medical, or combined approach? This study found that teaching other “typical” children the way to approach a child with ASD led to better outcomes for the ASD child. Is this teaching an accommodation of the child’s disrupted communication/social skills or is teaching a therapeutic (medical) technique to children? If you were teaching adults these skills in order to interact better with the child, then it would clearly be more of a medical approach as this is exactly what ABA and other behavioral therapy is all about. However the line gets a little blurred when it the skills are being taught to the child’s peers. Although at the end of the day it might not really matter how you classify the approach because it is the end result that matters the most – the child is better accepted by their peers and is better able to function. I see that study as an example of using heightened awareness of the importance of attitudes of others (of “society”, but at least there, of immediately interacting peers), to advance the broader goals of a medical model (though the “medical model” language is preframed by those who want to oppose it with the social model, so the split between the two models is somewhat artificial). And I agree that what matters is following the evidence; if changing society’s attitudes and accomodations can and does improve the lives of autistic people (or disabled people more generally), then of course it makes sense to persue that approach, but that doesn’t have to be at the exclusion of a “medical model” approach to helping the individual directly too, and always there is a question of how much and how well implemented the various approaches can be. For example, changing society is a very long-term and harder to achieve result; that doesn’t mean it shouldn’t be persued or shouldn’t happen alongside other approches to aide the individual, it just means that when there are limited resources and time (as there always are) that it might make sense to focus that time and resources on the most beneficial and targeted option. It comes down to this for me: Underlying disabilities (here, autism) are not mere social constructs; there is something real and important there that needs assistance, and something that societal change, no matter how profound, would never completely address. Society response can make disability worse than it has to be, but its improvement cannot completely wipe-out the reaities of the impact disability has on an individual’s life. Yes, disabilities are somewhat defined in reference to societal norms, but autism is identifiable and responded to in all cultures (that I have read about thus far); the response may differ but there is nevertheless a response to something real and important. That “something”, whatever it may be called culture to culture or country to country, is still there. You make a really good point in the first paragraph about how we can differentiate between misbehavior and a condition to accommodate if there’s no condition in the first place. However, then you go on to talk about how there aren’t any obvious accommodations to be made. This is true even under the medical model of disability for several reasons. 1) Autism is an extremely heterogeneous condition, which we may eventually find isn’t actually a single condition at all. So different individuals who have it differ from each other not just in how severely affected they are but in how they manifest the same general symptoms, in all the ways you point out and then some. 2) Autism involves a lot of variability even within the same person. The fact that there aren’t necessarily any obvious accommodations to be made seems to stem not from any philosophy of autism but from the nature of autism itself. 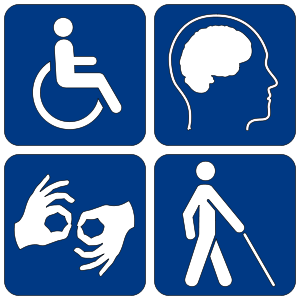 Plus, there’s nothing here an advocate of the social model of disability would disagree with–in my experience they tend to agree that there are sensory and communication differences, just that these are an equally valid way to operate, not a disability. The wheelchair example isn’t even relevant because that’s a visible disability. Your point about there being no obvious accommodations might be relevant to the social vs. medical model issue if the medical model of autism offered an alternative, but as a mom of kids on the spectrum, you’ve probably realized they haven’t come up with much in the way of treatment, let alone targeted, individualized treatment like your kids need. Even the best-supported treatments (e.g. ABA) have incredibly weak support from mostly badly-designed studies. It’s not a strike against the social model of autism if the medical model doesn’t offer a better alternative. That said, you raise an important question and I’m interested in knowing how people who support an extreme social model would answer it. I would take that even one step further. Even when two people have the same underlying cause and the same core deficits, the external symptoms and behaviors associated with their autism can be quite different – especially in the social and repetitive/restricted behaviors domains. Two of my daughters are identical twins who share a diagnosis and have the same core problems. But when it comes to their willingness to be social and their repetitive/restricted behaviors they are quite different. You would not be able to have one set of accommodations across the two of them. Actually that last part is where I typically disagree with the advocates. You can quibble with the social aspects, but the real problem is that there is far more to the repetitive/restricted domain than just sensory issues and when these behaviors interfere with everyday functioning they are far more than just a difference – they take away the ability to function. You might be right about mainstream medicine. Although I would argue that ABA can be and is effective for some children (mine include) and does have decent scientific support, but it certainly isn’t as well supported as it could be. But then again, it is always going to be difficult to quantify how well a behavioral therapy is going to work because of individual differences. However, there certainly are targeted, individualized treatments that are available if you have the time and energy to go find what works for your specific kids. We have spent several years trying to find the combination of behavioral, biomedical, and social therapies that will help our children get past their autism. Some of the time what we try worked and other times it hasn’t. But it is certainly worth it when you find something that works for your children. I guess my point here is that the only treatments that seem to make a dent in autism are the ones that are targeted at the specific needs and problems of the individual. There is currently no one size fits all model for treating autism even when the underlying cause and core symptoms are the same. The medical model can deal with and accommodate that (with some parental help) but it seems like the social model would have an extremely hard time with the individual differences. Thank you for posting this. I really like stepping back and trying to figure out where everyone in this debate is coming from, and it’s a lot easier to do so when there’s some clarity about what the terms mean (my philosophy roots are showing, I guess ;D). Like you, I see the weak version of the social model as obviously intuitive, but I have some reservations about the idea that everyone with autism would have no problems functioning whatsoever if all ablist attitudes and behavior went away. Bottom lines for me are that having more skills–however much support it takes you to manifest them–are better than having fewer skills, and being able to talk is better than not being able to talk–even if you also use other means of communication. But I think even this idea is a game-changer. People who aren’t close to anyone with autism (or think they aren’t) and know nothing about it aren’t likely to have any exposure to this idea, but they ARE exposed to extreme versions of the medical model that Autism Speaks & the like promote: that autism is not only a disease, but one that takes your child away and/or turns him into a monster. I hope I don’t have to explain how dehumanizing and downright immoral rhetoric like that is. Moderate versions of the social model are such an important antidote to that perspective–one that people can actually accept. Thank you Philip, and welcome to my blog! The social model of disability was developed by the disability community itself in the 1970s and 80s to challenge the view of clinicians and researchers that disabled people as individuals were the problem and were somehow broken. Hence the medical or individual model sees the provision of a wheelchair or medication as sufficient intervention to fix the individual and the problem is therefore solved. However, the social model does not deny the requirement for individual supports but makes disability, and disabling attitudes, the problem for society as a whole to address. Hence you may have a wheelchair, but if you cannot access buildings or transport because of a disabling society, it is a problem for society (government/policy/etc) to fix. The social model is the basis of New Zealand’s disability policy (though not service provision, unfortunately, as we know because so many autistic children are still treated as individual problems, not challenges for society as a whole to resolve) as expressed through the NZ Disability Strategy 2001, which has a really good definition of the social model on page 1, and also the UN Convention on the Rights of Children with Disabilities, to which NZ is a signatory. Both can be found on the website of the Office of Disability Issues (www.odi.govt.nz). Incidentally, Tom Shakespeare was in New Zealand a few weeks ago and was interviewed by Radio NZ(and this should be online somewhere). He does not reject the social model, but would like to see more evolution of it. He is also the author of the World Health Organisation’s recent report on disability, and for many disabled people in developing countries, they are not getting any individual attention, let alone getting any support from social model policy initiatives. Another thought. Dana Lee Baker of Washington State University, who is one of the few autism policy researchers in the world, talks about a ‘taxonomy ‘ of autism agendas: cause, care, cure and celebration (2011). These of course, often clash, which explains the tension between the neurodiversity movement and parents promoting biomedical solutions. Perhaps that is a more useful way of thinking about the issues rather than the social or medical model. Sharon, thanks for clarifying! It sounds like things are a lot better in Australia than here in the U.S., probably because Autism Speaks is so powerful here. Although one of the worst “not fully human” implications I have seen printed was printed in The Guardian. I’m so glad to hear he has so much support and such caring people in his life. I hope he makes progress with his challenges and I;m looking forward to reading the blog post you were talking about working on. Good point, I don’t see self-advocates talking about the rigidity stuff so much, and it causes major problems. For them, too, I’d imagine. I guess I’m a bit less hopeful that the medical model can actually provide individualized treatment either. From what I’ve learned from doing neuroimaging research, I doubt it’ll find out anything individualized in the next 10 years. Maybe other lines of research will do better. I really hope there’ll be more individual treatment options soon though, whatever model they come from! . This is an interesting post, but I am a little confused about where you are hearing about what you call the extreme form of the social model. A disclaimer: I have no background in disability theory, and have not read about it apart from what I’ve found online. I’m also from the U.S. and am not familiar with U.K. disability rights history, which seems to be the main point of reference in the supporting documents you included at the end of your post. But in my fairly extensive online reading, I have never encountered a person or organization advocating a purely social model. Have you? You say “various movements will and do deny existing definitions – and even existence – of the impairments that lead to disability.” I am curious what these movements are. I don’t doubt that they exist somewhere, but I haven’t seen or heard them in any conversation about disability that I’ve been a part of. Without specific references to these movements or people who advocate the “extreme” version, your whole post looks like a straw man argument: you’ve presented a distorted misrepresentation of the views of those who advocate a social model of disability, and then you’ve discredited it as exaggerated and absurd. I agree: the position you’ve presented here is exaggerated and absurd. But I’m not aware of anyone who actually defends that position to begin with, so I’m not sure where your outrage comes from. “Research priorities should focus on areas that have the most potential to improve the daily lives of Autistic people, such as communication and assistive technology, best practices in providing services and supports, and educational methodologies. Health care disparities need to be remedied and beneficial therapies made more widely available; however, the use of scientifically unproven treatments and those that focus on normalization rather than teaching useful skills should be discouraged. Autism is both a disability and a difference. I don’t know many people who would argue otherwise. It is possible to recognize the real impairments suffered by many autistics and simultaneously work to remove societal barriers to inclusion, change damaging ableist attitudes, and fight against the policing of non-normative behavior. The extreme version of the social model that you’ve presented here may be tossed around by academics or theorists, but I’m not aware of any disability rights activists who would defend it. I have personally read many comments, and a fair few posts, arguing that autism is completely natural and requires no intervention, only understanding. These are extreme views, but they are common enough. I thought others had encountered them commonly too (and many other people have told me as much). I provided some examples of such discussions and pieces addressing these issues, at the end of my post. I could go further and find the more extreme versions, but if you a basic google search you will find more easily enough yourself. I get the impression you are at least somewhat familiar with the more extreme rhetoric since, in your own words: “Autism is both a disability and a difference. I don’t know many people who would argue otherwise.” So I assume you do know some who would argue otherwise, or was this not what you meant? I think you have over-looked my point that if the extreme view is not helpful (and you say it is not) then we are only left with a rather weaker / mild and arguably unhelpful (comparatively) model that is really just about increased awareness and accomodation, rather than the cure to the medical model per se. Remembering that the social model was introduced as a reaction to the (then labeled) medical model, this is a real issue for the approach. It is a long piece, but it worth reading that first pdf file I suggested, where you will find enlightening comparisons to the feminist movement and its associated extremes (that were also pulled back from as the movement progressed). I did not present a strawman argument: I presented more than one interpretation of the theory, and even openly asked for others to provide clarification if I had misunderstood the model. If I had presented a single one and entirely incorrect one, and then claimed all reference to the model was in refrenece to that single model, then you might have a point. That is not what I did. I’m sorry if my comment came off as confrontational and dismissive of your post; I did not mean it that way. I was genuinely interested in where you are hearing the argument for a purely social model, because I have not encountered it myself. I agree that you did not accuse ASAN of any of the things I addressed in my comment — I was responding here to many other criticisms of ASAN (and the neurodiversity movement in general) that I’m sure you are familiar with from other forums. My point was that I have seen many people describe the extreme version of the social model, as you did here, and then ascribe this viewpoint to ASAN as a way of discrediting it. I don’t think that’s what you were doing. I did read the pdf and thought it was interesting, but again, it seems like a criticism of a theoretical framework that I have never seen actually put into practice. This is probably due to my own unfamiliarity with the issues. My last comment, about not knowing many people who would argue otherwise, was in reference to the people who see autism as ONLY a disability — all negative, no positive — and would never refer to it as a neurological difference. In Ari Ne’eman’s own words: As for the comment made about my Jewish Week article, I don’t recall saying at any point there that autism wasn’t a disability – only that it was not a disease, something I think exemplifies the neurodiversity position much better. I did seem to imply it though with the phrase “difference is not disability”. As we all should know, implication is not statement, especially when inadvertent. In my opinion, ASAN’s words on their website and their actual positions on issues are very much at odds with each other. They say one thing and pay some lip service to treating autism as a medical problem but then their actions don’t support that. A recent example of this is their call for participants to help with the research process in which they explicitly say that they want “Autistic adults and other people with disabilities who believe in the civil rights/social model approach to disability and want to ensure that self-advocates are represented”. The language in the announcement makes ASAN’s intention and exactly what their objective is pretty clear. I don’t want to go into that whole thing here but I would point you to the autism jabberwocky link at the end of the main post for more details (disclaimer, I wrote that). Some other trivial examples are their opposition to the Combating Autism Act, their opposition to renewing the Combating Autism Act, their opposition to labeling wandering in children with autism as a medical problem, their opposition to basic genetic research into what causes autism, the list really goes on and on. None of those positions are really in line with the idea that autism is a disorder that needs to be treated. Just one other comment, this blurb that you wrote – “fight against the policing of non-normative behavior” – is very off base. I really have to wonder who you have seen “policing” an autistic behavior (i.e. an inappropriate social behavior or a stim) simply because it is not normal. I have seen plenty of parents (myself included) who try and get rid of behaviors that interfere with functioning or are very socially isolating. But there is a very large jump from that to “policing” autistic behaviors. I would argue that the former is actually what parents should be doing – teaching their children appropriate social skills. Can you point me to an example of someone actually trying to eliminate an autistic behavior simply because it is “non-normative”? Here you go: Autism Speaks. Actually I would disagree with you that hand flapping is “harmless”. If nothing else, it can distract the child and prevents them from paying attention when you are trying to teach them. Or if they use it when they are anxious or excited it can make it harder to teach them more functional responses. And then there is the problem they some children who flap that don’t realize that when they are too close to another person and flap that they can hurt the other person. My children have smacked some of their therapists, their sisters, some of their peers, as well as us without meaning to. In today’s hyper no-touch school environment that can be a real problem. And I’m sorry, but that piece you linked to is rubbish. Telling a child “quiet hands” and giving a physical prompt is not abuse. Nor is ABA about “behavior control”, it is about teaching the child how to control and regulate themselves so that they can learn and function. Perhaps more to the point, if you wanted an example of the extreme social model of autism, the post you linked to is pretty close. It recasts a behavior of autism as something special about autism that is only a problem because of other people’s opinions while completely ignoring the very real problems that the behavior can cause. Or to put it even more bluntly, not every child with autism who flaps is exploring their environment with their hands and most parent’s who are trying to get their children to stop flapping aren’t doing so because they are “policing” (or abusing) their children. As an example, if I am trying to do homework with my child and she is flapping away, she is not paying attention and is not able to focus on what she needs to get done. So sometimes I need to tell her to put her hands down and focus. And the way I do that is tell her “quiet hands” and give her a physical prompt if needed. Let me be perfectly clear here. I have to do this because her understanding spoken language is very limited. If I could instead explain to her that she needs to pay attention right now but is free to do what she wants in a few minutes, I would do that in a instant. But I can’t because her autism has taken her ability to understand the verbalization of an idea as abstract as that. So instead I am forced to fall back to a phrase and a prompt that she has learned through painstaking practice. We did not teach her this so that we can avoid her being “weird” or because we were embarrassed by her behaviors or so we could get our jollies by slapping her around but rather because the behavior was disrupting her ability to learn. But again, let me be perfectly clear. She is more than welcome to flap all she wants when we don’t need her to pay attention and when her behaviors won’t interfere with other people around her. But since he could not flap and learn at the say time so one of those things had to go. P.S. I apologize if my tone seems a bit harsh but you hit a bit of a nerve. Flapping is actually a bit of a problem for two of my children and suggesting that addressing it is just “policing” or it is, as the post you linked to does, child abuse is more than a little over the top. I suspect you and I will continue to disagree about this issue, but I think you may be mistaken that suppressing stims necessarily helps kids pay attention. Many autistics say they are unable to think or focus without stimming, and that suppressing the stims makes it more difficult for them to concentrate. Every kid is different, of course, and I am not making any assumptions about what works for your child. But I do think it’s worth listening to what autistic adults have to say about it. For some people, stimming enhances concentration. You are probably right, we are going to have to disagree here. While I have heard some people with autism suggest that stimming helps them concentrate, I am not sure that I believe what they are saying is actually true. Or at least it isn’t true all of the time. From observing their actions for many years now, it seems like flapping – at least for my children – is more of an obsession than something that helps them concentrate. They do have sensory needs and some of the time they do need extra sensory input to help them regulate themselves, but flapping isn’t part of that. Although I have to point out that another part of their ABA programs is teaching them to recognize the times that they need the extra input and to ask for the input or ask for a break rather than having a meltdown. More importantly, I try to follow a more evidence based approach in treating my children. I want actual data showing that what we are doing is appropriate and effective. Failing that, I am going to rely on empirical results of what works and what doesn’t with my children. If some random person on the internet says suggests something I will consider it, but what I won’t do is take it as gospel simply because the other person says that they have autism. Right now, all of the data that I have is telling me that flapping is making it harder for them to pay attention. Right now, that is the reality of autism for my children. But the post you linked to doesn’t seem to allow for that little distinction. It states that the evidence based techniques that we use with our children are child abuse and that stopping then is “taking away their voice”. That sort of advocacy isn’t particularly helpful and so no, I tend not to listen to people who use it. If you are going to take an all or nothing approach to autism them you are going to, almost by definition, be saying the wrong thing most of the time. As I think I said above, two of my daughters are identical twins that presumably have the same underyling cause of autism. But their stims are quite different from each other and, even when they do have the same exact stim, there are different reasons why they do them. If I tried to take the same approach with both twins we would have some a problem on our hands. You have to look at the individual child and do what is right for them. If nothing else, [hand flapping] can distract the child and prevents them from paying attention when you are trying to teach them. As an Autistic person, I beg to differ. For me, stimming helps me to focus on and pay attention to things by helping to reduce what would otherwise be sensory bombardment. In fact, because of this, I learnt far less when forced not to stim because the things I was being told became an incomprehensible melange of noise. Sheogorath, you can beg to differ all you want that doesn’t make what you are saying true. It especially doesn’t make it true for my children. Frankly, I am quite sick and tired of people who might share a diagnosis with my children but little else thinking that they have some right to speak for them. Or thinking that they somehow know what is better for them. To be quite clear, your opinion is your opinion. You are certainly entitled to your opinion. But don’t make the mistake that (presumably) having a diagnosis of autism gives any more weight to your words. You responded that the post was “rubbish” and that you were “not sure that I believe what they are saying is actually true,” and then listed the ways in which your own experience with your children is different. It sounds to me like you are dismissing the experience of another person (many other people) simply because it does not match up with your own, and that is disappointing. The link was not intended as a comment on your parenting. I know nothing about your family, and I am not in the business of telling other people how to be parents. I have been on the receiving end of enough unsolicited parenting advice to have opted out of that game entirely. The point is that this happens. Maybe not in your family, but it does happen. Please don’t discount it just because you haven’t experienced it yourself. I don’t want to take this more off-topic than it already is, but let me (hopefully) briefly answer you. First, on the subject of commenting on my parenting, you may not have intended it to be a comment on what I do with my children, but the author of the post you linked to clearly meant it to be that. Writing that a commonly used therapeutic technique is a form of abuse is absolutely meant to be an attack on parents who use the technique. It doesn’t get more personal than someone saying that you are abusing your children. While I do realize that you were not the one saying it directly, you did point it out as an example of parents doing something they shouldn’t, as in “policing” behaviors. Which implies to me, and maybe I am mistaken, that you think the thoughts expressed in that post were valid. So I read your comments to imply that, at the least, trying to behaviorally addressing flapping was not a good thing to do. So I was trying to address that point, that extincting behaviors such as flapping is sometimes necessary. Second, when I said I am not sure that I believe the person and I meant that quite literally. When I first started reading about autism online, I ran into many of the self advocates. I found what they had to say fascinating and read as much as I could, thinking that it would help me understand my children. But then I started noticing that there were inconsistencies in what some of these people were saying. I noticed that some of these people seemed to be twisting the presumed facts of their lives to fit whatever narrative about autism they were pushing. The most notable example I can think of involves a person who presents herself as a low functioning non-verbal person with autism. I am not going to call her out by name because I do think she has issues that she is dealing with and I don’t like to do that, but lets say that she is high profile enough to have appeared as a poster child for autism on CNN. She too claims that flapping is a form of communication and has even put out videos demonstrating her flapping along with commentary explaining what the flapping means to her. Initially, I ate it up and believed what she was saying. But then a funny thing happened. She mentioned in one of her posts that she was able to function in gifted classes in school and was able to go to a college for gifted students. Since I have some experience in that area, I was able to notice that what she was saying about it didn’t quite make sense. Gifted people are quirky (to say the least) and are sometimes socially awkward, but it is highly unlikely that a person with low functioning autism would be able to operate in that environment undetected. So I started digging into this person’s background and reading everything else that they had written. To make a long story short, I found out that not only were they mostly “typical” and functioning in gifted classes they were completely verbal and social until they were in their late teens, early twenties. So instead of reading about a person who had LFA, I was reading about someone who wanted the world to think they had LFA. Now repeat this story another five or ten times and I think you can understand why I am skeptical about what people write about themselves and about their “autism” online. So when I read about someone telling you about what they think about autism my first response is to take a critical look at exactly what they are saying. I am not saying that the person who wrote the post you linked to is doing any of this because I just read the one post (and none of the comments). But neither will I accept what they say at face value – especially when they are saying that evidence based therapeutic techniques that we have had to use to combat real problems that our children have are child abuse. Oh, you mean Amanda Baggs, a woman who has psychogenic autism. Her condition is akin to that of someone with conversion disorder. So the things I know to be true aren’t the truth, is that it? Have you ever thought of looking up the definition of ‘truth’ in a dictionary? Maybe then you’ll learn how a colour blind person can pass a polygraph test with flying colours while declaring the sky to be green and grass to be blue. It especially doesn’t make it true for my children. For me, stimming helps me to focus on and pay attention to things by helping to reduce what would otherwise be sensory bombardment. In fact, because of this, I learnt far less when forced not to stim because the things I was being told became an incomprehensible melange of noise. Please point out at what point in the self-quote above or the post I pulled it from where I even mentioned your kids. Didn’t we already have this conversation? My comment that you are replying to wasn’t even directed to you and yet you are responding like it was. Don’t you have anything better to do than troll the internet and try to pick fights? Slightly off topic – I think it’s also important to distinguish between the harmless stimming and those behaviours which are either self harming or potentially so if repeated too often. I think this can also become clearer as a child grows older as the parent has as much to learn as the child does in this respect. Slightly concerned but understand all of the above comments. I have a different experience as my son has developed from being a non verbal, no eye contact, in nappies in nappies and smearing, self harming and totally dependant up to the age of 8. This followed by a gradual one word communication outburst, which has increased to 5 – 7 word sentences. He has enjoyed being vocal and has found it useful and advantageous. He recieve’s lots of praise – also he is brilliant at reading and will read anything in his sight. He now always gives eye contact and will be the first to hold your face to make sure you are looking at him. I am overwhelmed by his progress and really believe that this is attributed to rebuking (not denying) Autism as a condition to be embraced and controlled. My family have gone against the grain and instead of finding ways of making life easier to manage. We decided to help our son to experience society the way we know it – by exposing him socially to friends, family, outings, parties, church, different environements to manipulate his brain. We would not allow the condition to control him but wanted to help him to understand that what he was experiencing was new and nothing to be afraid of. It was difficult to begin with and he has worked hard, but what amazingly has happened is his cognition has advanced and his brain has learnt to deal with uncertainty. Autism is far too broad a spectrum and very individual to be summarising everyone with this condition in this way. There is hope and we must never lose hope – my son had a recent psychologist assessment which confirmed that he is indeed nolonger severe, but considered within the moderate bracket. He is now 12. He now always gives eye contact and will be the first to hold your face to make sure you are looking at him. This worries me since it seems as if your son is copying the method used on him to teach him eye contact, and that is one of the things that makes Autistic people the world over decry ABA. FYI – I just linked this post to “Alphabet Soup” on my ADD-focused WordPress blog. I will also be backlinking it to an earlier one, “Tales from the ADD Dark Side.” Thoughtful comments from your readers as well. I wish the ADD community were as active and involved! Perhaps some will jump over here and this will jumpstart some advocacy efforts. MJ said: Sheogorath, you can beg to differ all you want that doesn’t make what you are saying true. So you claim that I’m lying about my experiences? Nice. And all I was doing was offering an insight, neither claiming nor implying that what I said is true across the board. Thank God I ‘lack the ability’ to read between the lines like you can. I make far less mistakes that way. Oh grow up and stop acting like a baby. Waaaa, I said something about autism on the internet and someone didn’t instantly thank me for my brilliant insight. Waaaa. Comments like yours are the exact reason why I stopped listening to most “autistic people” on the internet. Most of you – and yes, this time I am actually insulting you – act like infants. You experience something and instantly think that it is a brilliant insight that needs to be shared like gospel with anyone and everyone, no matter what your experience is and what it related to. If you bothered to read what I actually wrote you might have noticed that I explicitly addressed what you were saying long before you jumped in and begged to pick a fight. So why don’t you either grow up or log off the internet now and come back when you are actually capable of having an intelligent, adult conversation and not just looking to pick a fight? @ Autism and Oughtisms: MJ is clearly picking on me, so I would like her last comment (as well as this one) to be deleted since I do not wish to reply to an obvious flame and therefore feed a troll. First of all, the proper pronoun is he, not she. When you call someone a troll at least take the time to get the gender correct. Second, you responded to a comment in a conversation from a long time ago and in doing so injected your two cents worth without bothering to understand the conversation. I think that behavior fits the classic definition of troll. Third, you instantly turned the conversation negative when I discounted what you were saying. You can’t claim that you are being “picked on” after you start the conversation down a path. Last, and perhaps the funniest part of this whole thing, is that you completely demonstrated my point. I said you were acting like a baby and you responded with the intellectual equivalent of “mom, make him take it back, he’s being mean to me. Good grief, I was half joking the first time but I really mean it now – grow up. I think the moral of the story here is that you want to think long and hard about what exactly it is you think you are doing. A close second is don’t play with fire if you don’t want to get burned. As I said initially, I am utterly sick and tired of people like you treating autism like it is a game. My children will likely be profoundly disabled for the rest of their lives by their autism and you coming in and trying to “correct” my view of my children’s autism is unwelcome, unwanted, and infantile. And just so you get the point that this isn’t a game – if this conversation gets deleted from here it will reappear on my site the next day with the complete history. @A&O, I apologize for creating a ruckus here but there are days when enough is just enough. MJ and Sheogorath: I’ve just had a scan of the conversation, I can see it’s getting heated but I’m not sure it’s crossed a line. I’ll read through it in its entirety again later when the kids are in bed. Sheogorath, I would just like to say at this point that MJ is not simply being a troll, he is a long time commenter on my blog and he is genuinely passionate about his points of view. I don’t always agree with him, but he is not setting out to pick a fight for the sake of it, and he is quite open about the fact he is the one doing the commenting – he is not being anonymous or refusing to accept responsibility for his words, which would otherwise be typical of a standard troll. As I said above, I’ll read through this all again soon and will get back to you both, but for now I’ll leave the discussion up. In the meantime, this information may be useful to you. I could have taken the time to get your gender correct if you had ever taken the time to indicate it, so you can’t blame me for assuming you are your child’s mother as most ‘Autism parents’ on the Internet are. I think the generalisation and personal attack above more indicates the behaviour of a troll than what I said does, but feel free to not take a forum admin’s word for it. On top of which, offering insight into my experience of Autism in no way equals claiming that every Autistic person experiences the same thing, and only a troll would claim otherwise. So why don’t you either grow up or log off the internet now and come back when you are actually capable of having an intelligent, adult conversation and not just looking to pick a fight? Good advice you gave to yourself, so why don’t you take it. Now I’m sick of being picked on by privileged (censored) like you, so I’ll just let you get back to planning eugenics with the other board members of Autism $peaks. Yes…As the father of not one, not two, but three children with autism, I am clearly waging a eugenics campaign against autism. Now, granted, the first two are twins so they really count as the same and the third one was underway before the twins’ formal diagnosis was made but still. Oh well, you got me there, I am clearly guilty as charged. First, Sheogorath, MJ’s initial response to your early comment was a fair and reasonable response to what you had said, his understanding of the point you were trying to make was not outlandish. But your own response back to him after that was quite snarky and rude, it was sarcastic and quite biting. That was where the offence started as I see it. Yes he then reacted quite harshly, but he was meeting what you’d put out there: he was meeting like with like. The conversation did ramp up and get worse, but neither of you were giving worse than you were getting, until the ridiculously cruel comment that claimed MJ was keen on eugenics of autistic people. Now THAT was absolutely out of line, deliberately pushing buttons, and intended to deeply offend and upset. Secondly, the correct way to deal with someone perceived to be a troll would be to avoid responding, even according to the site you sent me to Sheogorath, but you have continued to respond and fed what you believed to be a troll. I must point out that the definitions of types of trolls in the page you sent me to, actually identifies you as the troll rather than MJ – MJ is a trusted genuine commenter with a strong history on this blog. He was not the one who restarted a conversation that was many years old, he is not the new commenter here. In fact, considering that your very first comment on my blog Sheogorath was so needlessly nasty to someone else that I had to edit out part of the attack (and I said very clearly where that edit was done), I think that goes towards identifying the more troll-like behaviour here. Finally, my decision is to not remove the conversation. It raises valid points about the topic at hand, but also illustrates where these discussions and arguments get sidetracked and why. MJ feels very passionately about the arguments he has made, and has only started attacking when he was already under attack – if MJ had requested that I remove the discussion, I would, since he did not set off this whole thing. As is, he wants it to stay, so it will (and my removing it would make no difference since he has stated he has recorded and would share it on his own site if I removed it anyway). Sheogoroth, you still have the option you always had: to ignore the person you think is a troll and to walk away from the discussion, as you should have done early on. Hello, I really enjoyed reading this article. I was wondering if I would be able to make reference to some of your points in an essay I am writing for my degree? I have tried to find your name so that I can give you the credit, however I cannot find it. I am really sorry if it’s obvious and I have just missed it! Hi Rhona. I write anonymously to protect my sons’ identities so I don’t use my real name. Feel free to refer to me simply as “the author” of the blog or call me something generic like “Jane Doe.” As long as you provide a reference link back to my blog, I don’t mind particularly what you use, and whoever is marking your work will be able to find the original work that way. Thanks for taking an interest in my writing. 1)Is the therapy helping a kid to succeed with an Neurodivergent brain? 2)Is the therapy helping the kid with an Neurodivergent brain to succeed in a Neurotypical world? 4)Is the therapy to make it easier on Neurotypicals interacting with the Neurodivergent person? One, two and three all have their advantages and disadvantages. 4 is not a great idea, however. Also, the neurodivergent-positivity resources I’ve seen tend to classify stims and SIBS separately. 5)Does the autistic child say they want to change the stim?